I'm happy I stuck with this thing called Stitchfix. It's a great way to get unique pieces for yourself that you may not have noticed in the stores or even have available to you. This is my 4th shipment, and I'm loving the styles more and more each month. It's now influenced recent purchases and I've learned a few things about Stitchfix to make my experience all the better. A look at my latest shipment and a few Stitchfix tips! Hello four perfect little outfits!! The floral top and necklace are both flirty and romantic, just right for date night. The graphic maxi skirt was a perfect fit as was the black cowl neck top. The orange paisley tunic isn't really my style but it screams cooler temps and fall fashion! Which are your favorites? Pay attention to who creates your package. I wish I had known when I was feeling discouraged with my first two shipments. Each time I open the box I'm greeted with a personal hello from a Stitchfix designer. Let's say Sally creates a package for me that is just perfect, I want to remember this so when I fill out the online questionnaire I can request Sally to do all my future packages. Now I can be almost positive that I'll love each shipment. Brilliant. Be brutally honest with opinions on the clothing and jewelry. How much do you hold back from yourself when staring in the mirror of a dressing room? Not much, ehhh? Yea, me either. So why waste your time and theirs by being nice and agreeing that every piece sent to you was OK? I'm now sincerely honest with my personal style survey given to me with each shipment. I don't hesitate to admit I'd never wear certain pieces or if I think they're ugly. By doing this I fell in love with each piece of my third shipment. Pick your shipments wisely. Stitchfix does not require you to continuously accept shipments, you choose the frequency. So when returning this shipment from June, I chose to not receive a shipment for the month of July. It would make no sense for me to accept a shipment during this month while in between homes, plus I couldn't guarantee a decison and return of style pieces within 3 days, like required. I plan to resume in August once settled into our new home. See, I loved two of this fixes pieces dearly. They fit perfect, hit my almost there curves in all the right places and were pieces that I could build on and style throughout the seasons. The only thing that made the decision of what to keep hard were the prices. I think Stitchfix knows this to be a problem with some of it's subscribers. So in an effort to keep quality high they offer a 25% discount off the total price if you decide to keep all 5 items. Keeping the 5th item can sometimes make the entire purchase cheaper. And remember your 20dollar fee goes towards any purchases too! Each of you are making a big difference in my Stitchfix experience too! In case you didn't know my Stitchfix account collects a few pretty pennies each time any of you sign up from a link posted on my blog. How kind of Stitchfix and how awesome of you!! And, since I'm a stickler, that money is just accruing, just awaiting the perfect piece that I can't live without. So people, click away! And then when you fall in love with your shipment, post it for the world to see and take this final tip from me.... make sure you "link" throughout your post in case your readers decide to join too! Have you tried Stitchfix? Have any tips to share?? Did you guess the maxi skirt was my ALL TIME favorite item? So...I am gonna be that person...what is it exactly? Love stitch fix! You are absolutely right about the stylist...I request the same person every time after a bad fix with another person. That orange top is so fun for the summer! I do stitchfix. good tip I never thought to write in the comments I liked the person that put it together. Each time I have a different one and honestly my first package from them was the best. I am due to get my next one in September. Ohh my gosh the black maxi skirt with the orange-ish top looks so great on you! I have read so many posts on Stitch Fix that I might cave and give it a try, hope you are having a great summer girl! I love the skirt with the bright orange shirt! Adorbs! So glad you are back! I missed reading while you were away! PS I have 90 signed up for the virtual 5k!! Eekk! OMG. I never knew this existed. I think I just died and went to heaven. 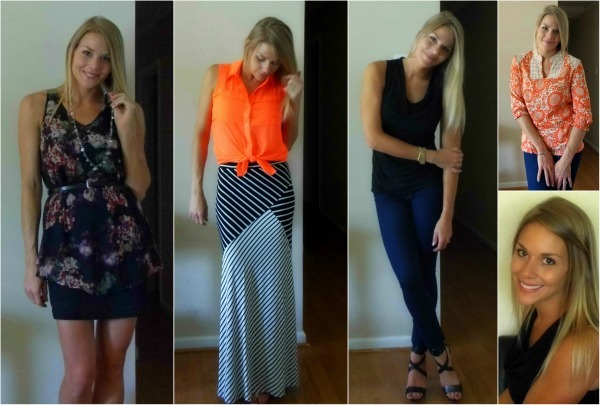 I'm totally obsessed with the maxi skirt and I am so excited to try stitchfix (once I have a little more money), I feel like I am going to become addicted! I just started using Stitch Fix and I love it! In fact, I wrote a post about "my first fix" (http://lifesphilosophie.com/?p=393). But since I've only done it once, these are great tips! It is seriously so much fun to open each package and I can't wait to schedule my next fix! How cool! I have never heard of this before. I love the striped maxi skirt! I'm afraid to try stitch fix. Afraid I might like it too much. I did a crap load of shopping over the last year or so and I think I'm at my limit. I'm so tempted though! It's such a great concept. Ok, this makes me think I should try StitchFix again. I absolutely hated my first shipment. I hated it SO much - it was nothing that I had asked for colorwise, pricewise, fabric-wise... and I was so angry that I never wanted to order from them again. But you are giving me hope that I can possibly get a good one. Maybe I'll try one more time! 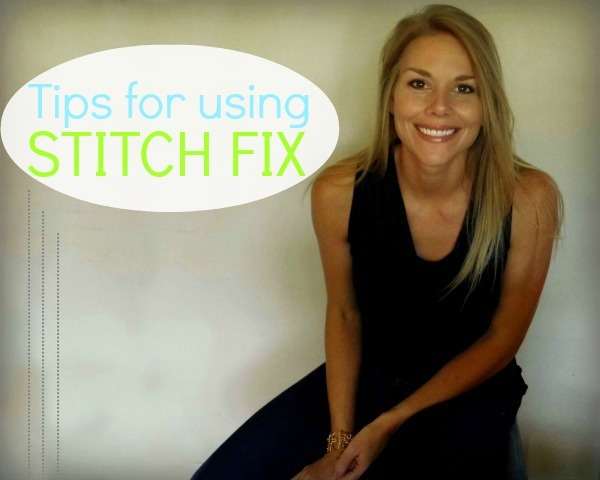 I did Stitch Fix twice and didn't even like it enough to blog about it. After the first fix, I left a TON of feedback, but I didn't feel like the second stylist took any of that into consideration :( I meant to request the first stylist again, but I guess I would hopeful that the second one would be better either way. I would love to try it again, maybe one day soon. I want that maxi! So cuuuuute! Stichfix, how interesting. You look adorable in all those outfits so they must be doing something right. I'll haveta check it out (using your link of course) and see if they can make me look cute too! Love this post and your blog :) Thanks for the inspiration. تعرف مشكلة تسرب المياه ببساطة بأنها عبارة عن خروج المياه من المواسير وانتشارها في الحوائط وعلى الأرضيات وبعض الأماكن المجاورة لمصادر المياه، ولكنه من أخطر المشكلات التي تتعرض لها الكثير من المنازل وتحتاج إلى معالجتها على الفور لأنها من المشكلات الذي يمكن أن تكون السبب في حدوث تساقط وتقشير الدهانات والأسقف.